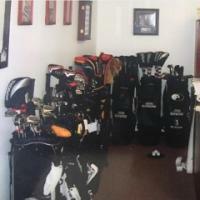 Nice additions, I am so upset that you did not replace your Titleist bag. There are not many of them out there. I am curious about the 858. I had one and like your friend did not enjoy great success with mine. Like all your stuff. keep updating. Nice bag. How do you like the r7 TP? It's actually a "Tour" R7. It's a great driver. No complaints whatsoever about it. It actually completely stopped my driver "ho-ing" because whenever I was unsatisfied, I'd just change the weight set up and have a "new" driver. 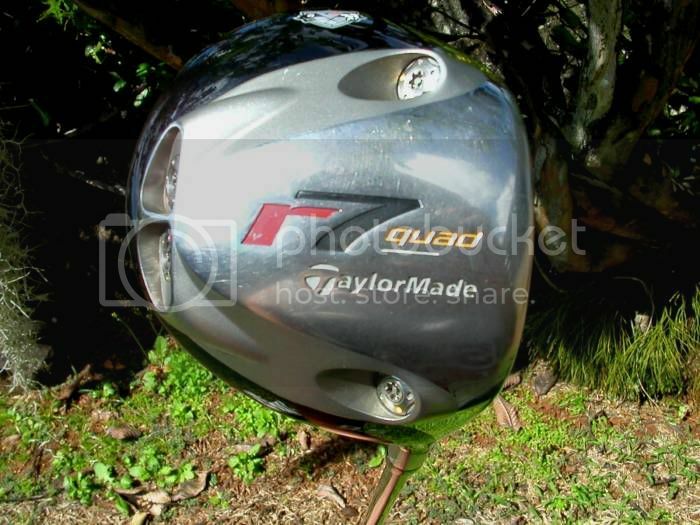 The only reason I stopped using it was that I found the X Drive and was looking for a few more yards. I'm getting a little more distance with the X Drive, but the main thing is the impact is a lot more solid with the X Drive then the R7. The R7 will always be my back up driver though when things go haywire. Yeah John, I was debating getting the CBS41, but I was also debating just getting a full size bag too. I figured the Nike was a cheap investment to get me through till I found a bag a really wanted again. They sure were! They've moved on to another owner now but they were some serious looking clubs. SONARTEC SS-2.5 w/Graphite Design YS-9.1 X tipped 2"
Sorry for quoting my own post...but I wanted to keep track of my idiocy! My game is finally hitting the point where I can say it's my fault and not the clubs. It's hard to imagine and it's getting pretty darn boring looking at all the new stuff that I don't need, but it's also comforting for the first time in ages. I am building confidence in my equipment and with every shot, there seems to be the possibility that I WILL pull it off. 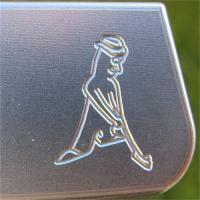 The biggest addition that has really surprised me is the putter. Many people know my horrendous putting ho ways and also horrendous putting rounds. 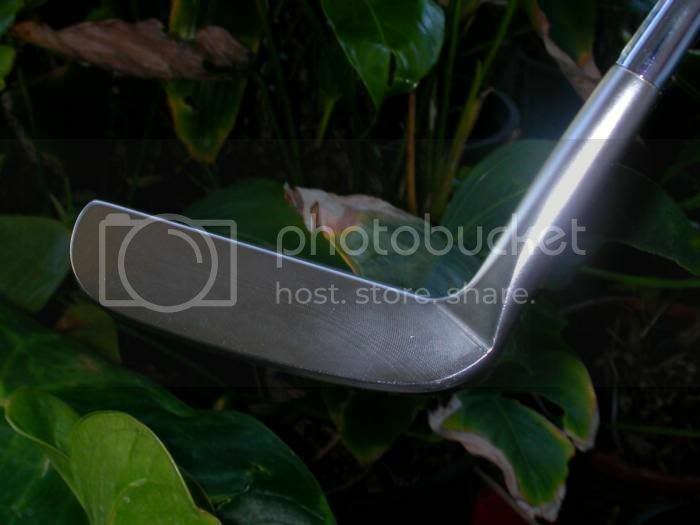 After speaking to my friend who's nice enough to give me blunt tips, one of them which was "stick to one putter idiot". 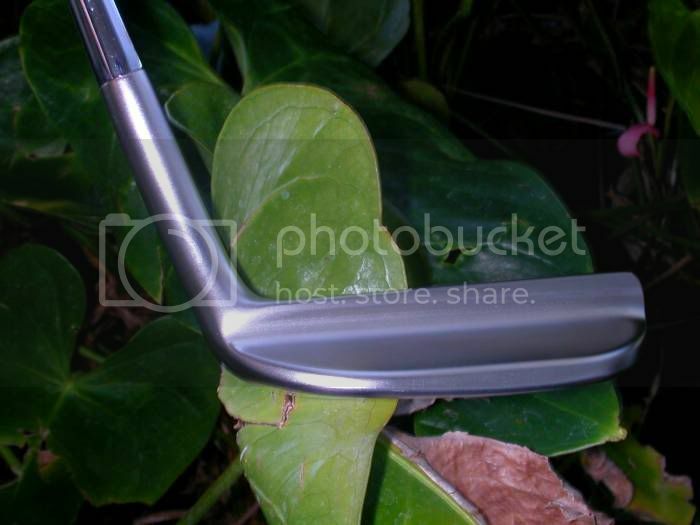 I decided that the next putter that I would pick up would stay in the bag for a minimum of one month. Fortunately enough, I was at my local second hand store and found a Scotty Del Mar 3.5. I've seen it a few times in the past but particularly in JHR's bag pics and figured if he had so many of them it was worth a try by me. I picked it up and the next day on my 40th birthday dropped six birdies with it. Can't beat that for a first time on grass experience. In the last six rounds, I've only experienced one bad round with it. In the other five rounds, I've only three jacked once with it. For the first time in about twenty years, I can stand up to a putt and feel like I'm going to drop it before I even stroke it. Iron changes....I went to the MP 60's. I loved the 32's but the 60's seemed to provide the same feel, similar trajectory, and similar looks at address. The best thing about them, the added forgiveness...which really wasn't needed, but mentally, it gave me the confidence that I couldn't miss a shot. 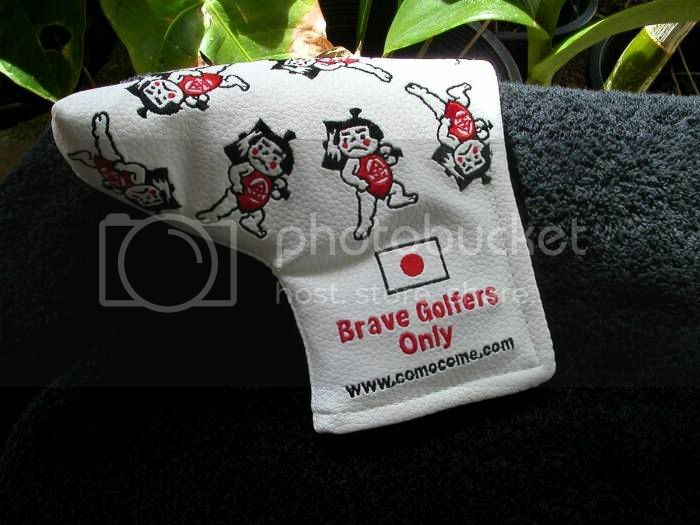 The last addition to my bag is the GolfWRX putter cover. How can anyone pass up on this beautiful cover. Cool and classy looking. 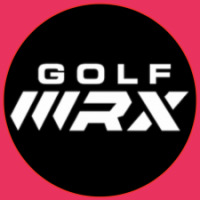 Before anyone ask…PM Gxgolfer if you’re looking for one. I think he still has a few. It's a good move to stop switching clubs. Your game will thank you Reid. Besides, your equipment is as good as it gets. You have probably tried everything out there and have settled on what works. Golf equipment has pretty much hit a wall technology wise, so there are really no gains to be had by trying the newest driver. 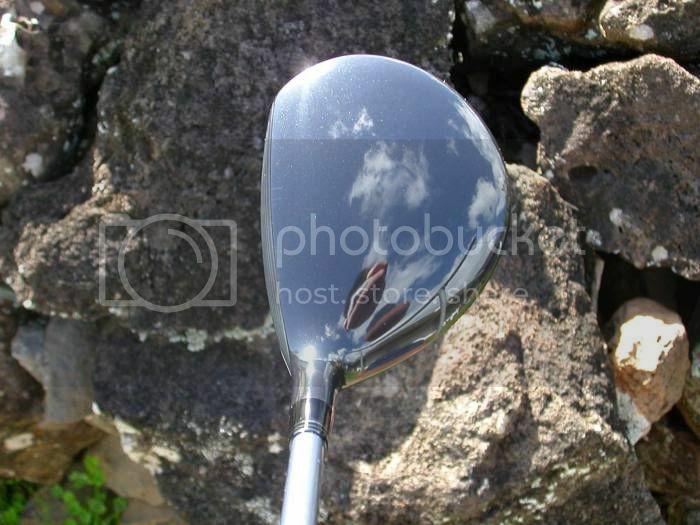 A good way to avoid temptation is to do some work on your clubs. 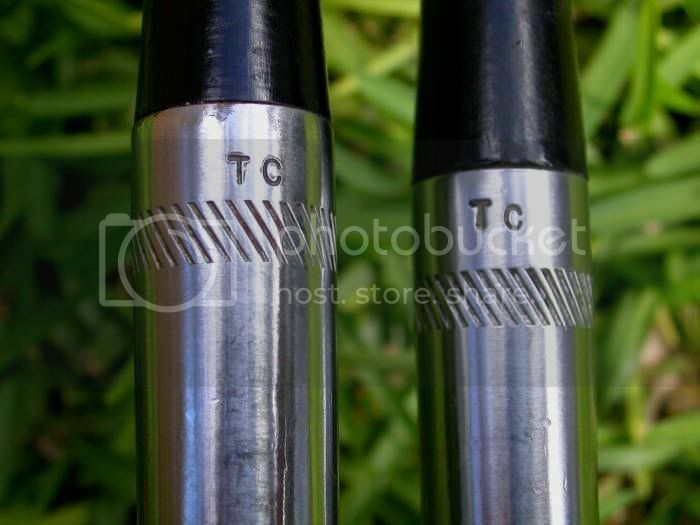 Even changing grips or adding your own paintfill can add some sentimental value. 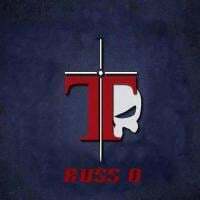 Gee thanks Russ. And yes...do me a favor .....hit me if I get stupid again! 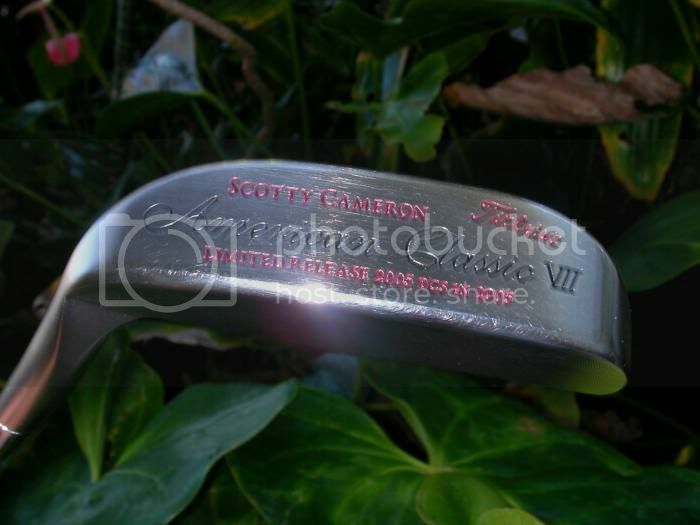 /cheesy.gif' class='bbc_emoticon' alt=':help:' /> Between you and Ross, I'm glad that you guys "talked" me into sticking to one putter. It's definitely shown in my game. For once I've got some major confidence standing over the ball. Thanks for the update Reid, i am glad to see you still have the 3.5 and are still loving it. I may take a page from your book and try the MP-32's. John...you dare to stray from Titleist???!! /blink.png' class='bbc_emoticon' alt=' ' /> I'm shocked! 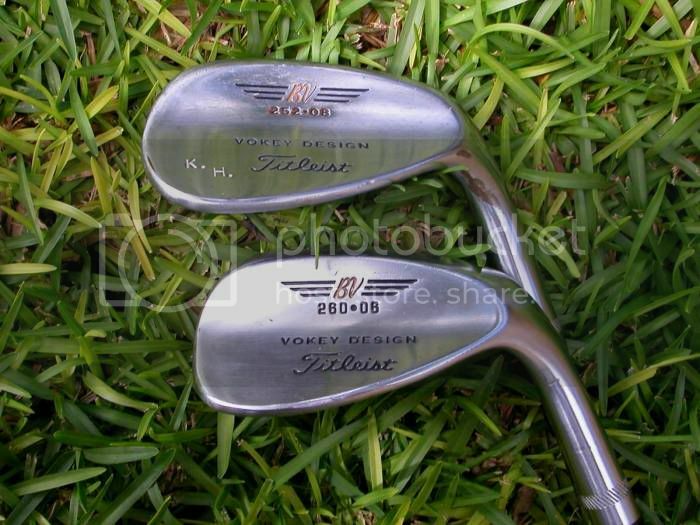 I was a long time lover of Titleist too until I tried my first Mizuno's. After that, I don't think I'll ever change brands again. I may change the style of blade, but the feel with the Mizuno's in my opinion are much more softer then anything I've ever played with. If anything the closest thing in feel that I've played with in the past is my old Wilson Staff Tour Blades from the 80's. I figured I wouldn't be able to talk smack until I actually posted a witb; now I did, and now I am. Ried, how about a quick mini review on the XDrive? 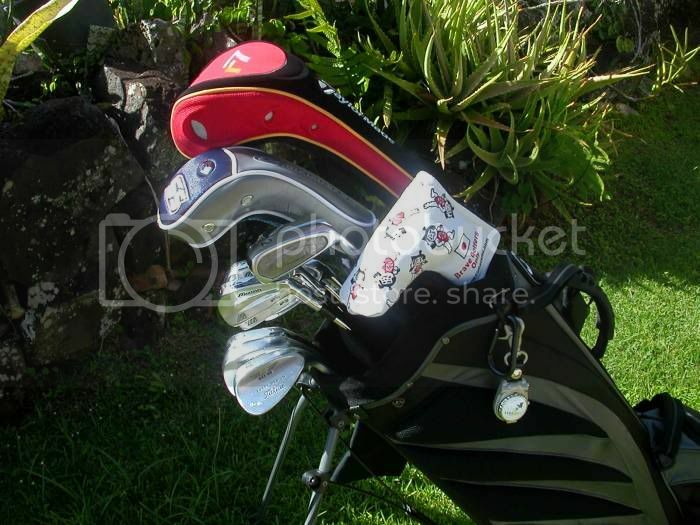 Oh yeah, very nice bag, love the 3wood, the 2.5 looks nice, not had much luck with RC or Sonartec otherwise I'd give this one a go. 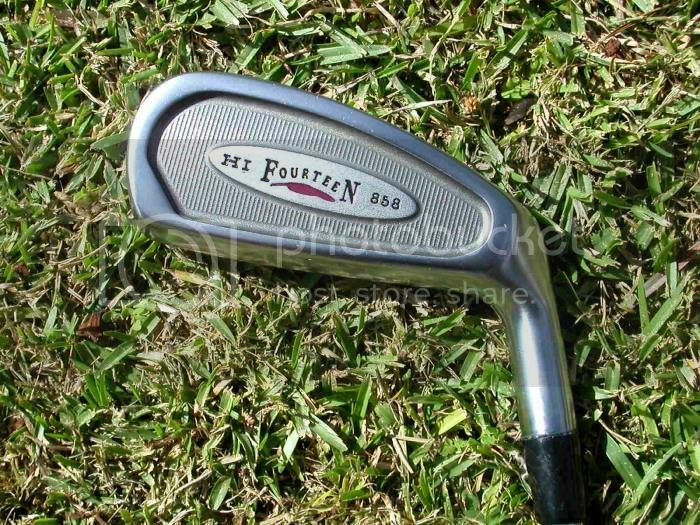 Irons are sweet and the Fourteen Hi858 is the daddy of all Iron Hybrids, feel is superb for a cast club, **** long and pretty forgiving, if the sole was more playable off the deck it would never have left the bag. Beruo... /cheesy.gif' class='bbc_emoticon' alt=':nono:' /> It's hard especially with friends like JHR..but I'm really trying to "stay the course"! My putter count....****..I wish I knew exactly but it's probably around 95 right now. And yes they are within distance of my bag. Heck...I've got about ten Scotty's that sit next to my bed. /biggrin.png' class='bbc_emoticon' alt=':yes:' /> I really should have a big blow out sale but I'm still kicking myself for selling all my early Scotty stuff. I could probably add a few Tour Cammys to the collection for what they're all going for now. Ohms....the X Drive. What more can I gush about this driver. 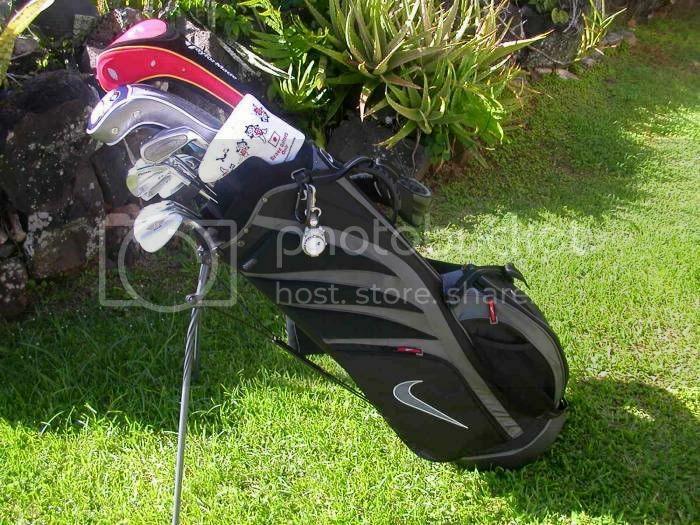 I added it to my bag last year and it kicked out a Tour R7 that I thought was firmly there. It's been in and out through "honeymoon" phases with other drivers, but each time has made it's way right back in. Out of the box, I can't think of a better driver made. 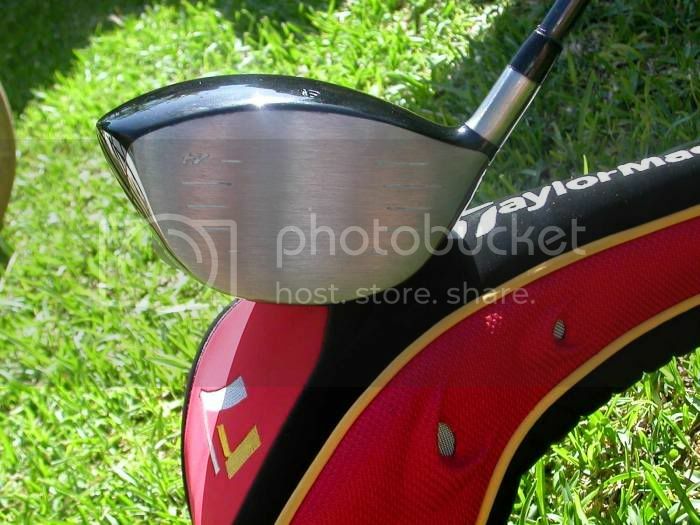 The only thing I've done to tinker with this club was remove the grip and add another layer of tape. 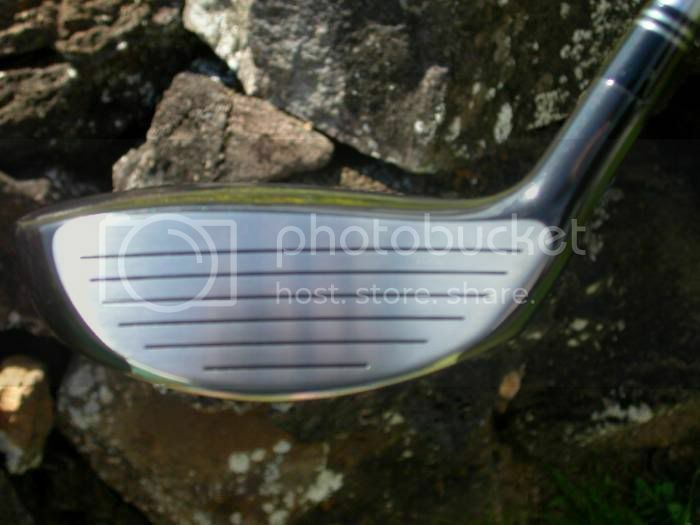 The X Drive with the Tour AD gives me a great penetrating trajectory. The ball starts off low and rises to a gentle peak, comes down, gets a great kick forward and produces a great long drive for me. The head at impact is a very solid feel and sound. There's none of the "tinkk" like some other metal woods. Definitely nothing like the loud "katinnnk" I'd get from my R7. Just a very solid feel and sound. The rubber insert does a great job of eliminating the vibrations that are usually felt in the hands on mishits. Speaking of mishits...the X Drive is still able to get me a lot of yards on mishits. 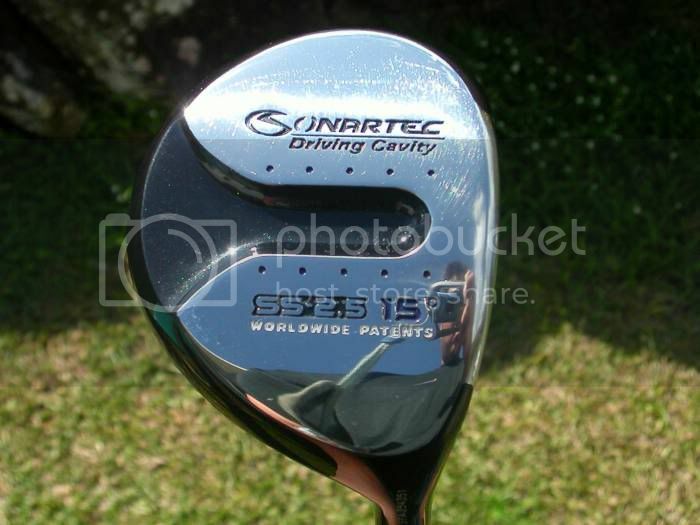 Not that I have many with this club which is one of the reason's I'm won't even contemplate testing the new 435. I might consider trying the 460 but at this time, it's a no brainer. Good luck with your's. I know you'll enjoy it. I know Ziggynotfrommaui anymore who bought an X Drive from me still has his in the bag too! John...you dare to stray from Titleist???!! /blink.png' class='bbc_emoticon' alt=':help:' /> I'm shocked! I was a long time lover of Titleist too until I tried my first Mizuno's. After that, I don't think I'll ever change brands again. I may change the style of blade, but the feel with the Mizuno's in my opinion are much more softer then anything I've ever played with. If anything the closest thing in feel that I've played with in the past is my old Wilson Staff Tour Blades from the 80's. I never said i would actually play them, i just thought i might like to get a set. /cheesy.gif' class='bbc_emoticon' alt=' ' /> I am curious about them, but i am curious about all of them, i want to get a set of every brand, it would make my life easier. John...you dare to stray from Titleist???!! /blink.png' class='bbc_emoticon' alt=':nono:' /> I'm shocked! I was a long time lover of Titleist too until I tried my first Mizuno's. After that, I don't think I'll ever change brands again. 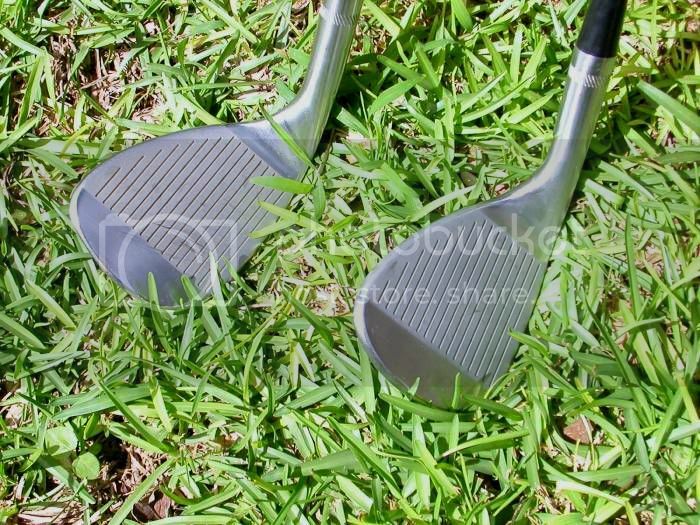 I may change the style of blade, but the feel with the Mizuno's in my opinion are much more softer then anything I've ever played with. If anything the closest thing in feel that I've played with in the past is my old Wilson Staff Tour Blades from the 80's. 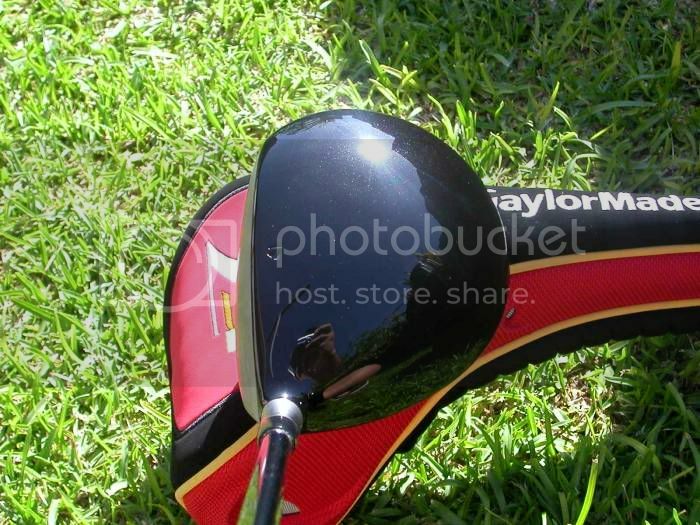 Driver is winging its way to me know, can't wait to give it a go, got nothing to do with the fact that I have some issues with the driver tight now..
Will give the Tour AD a decent run out but I'll be itching to put the Diamana Red into it as well. nice bag but jus wondering whu is k.h. nice pics of the mp60s. How do you like them? Thanks...and the MP60's seem to be everything that Mizuno designed them to be. I feel they might be a tad bit harder then the MP3'2 I had previously, but the added forgiveness is great. Carry distances are much more similar on mishits. Really the best set of iron's I've tried in years, and I can't think of another set at this time that I'd even want to test out. Real nice setup Reid. Great pics also. The whole thing looks right for some reason. 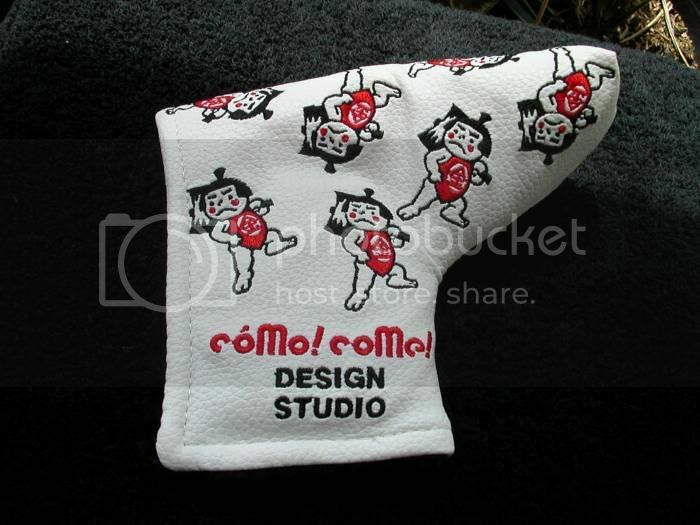 Whats in the putter cover? don't break my heart and change on me, you are the only other guy i know still using the magic wand.